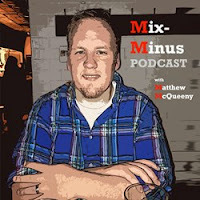 Mix-Minus Podcast | Matthew McQueeny: Keyon Dooling on Lawrence Frank: "Definitely a Supporter"
Keyon Dooling on Lawrence Frank: "Definitely a Supporter"
Nets guard Keyon Dooling was in studio with Joe Benigno and Evan Roberts on Wednesday. Of the man who has been talked about more than any Net at the moment - Head Coach Lawrence Frank - Dooling said he is a "supporter." "I enjoyed it (playing for him) and this is coming from me," said the combo guard. "I got an opportunity to play more than I ever have in my career and Coach Frank put that trust in me, so I'm definitely a supporter of him. I understand that we didn't have a great season but if you looked at our roster, nobody expected us to have a great season anyway. We kind of turned some heads when we started out of the gates very hot. But you have to tip your hat to him. He's got a work ethic that I haven't seen. He's in the office non stop; he's constantly trying to adjust and trying to bring the best out of the team. From a work ethic standpoint I don't think you can question that. Us as players we have to do a better job and the coach just has to keep pushing. We'll see what happens but I'm a supporter of him." This appearance it would stand to reason happened before Rod Thorn's state-of-the-Nets meeting with the media, and therefore Dooling was not asked to comment on the "we shall see" state of Frank's job, but he did somewhat talk relatedly about the whole "voice" of the coach thing. "You're going to hear him and you're going to see him," Dooling said of Frank. "I think any coach when you hear him so much at some point you're going to say 'I'm tired of hearing it'. Sometimes the guys might get tired of hearing me talk. It just happens like that if you're around somebody for all those hours we put in at the job. He's animated as well and that's who he is. You have to be true to yourself and do what you have to do." Keyon's view may be somewhat skewed in the sense that the Coach was giving him more playing time than he was used to in his career, but his feelings on Frank sounded earnest and balanced. "I had a great time. I think we had a pretty good balance of young guys and veterans. This was my best opportunity to play and so I was licking my chops the whole summer just thinking about how I've been waiting for this my whole career. Coach Frank gave me an opportunity to come out and perform and I was able to play two positions. From that aspect I really enjoyed it. But I would have liked to have had a better season; I woul d like to being playing right now." He feels the key to the Nets progressing towards a playoff-calibre team would be following a mode similar to the Portland Trailblazers. "I think if you look at a team like Portland, they didn't tweak their roster that much, but their young guys were able to develop and they were able to play together for a while. And over time they became very competitive in the West. I think we have some pieces but in our league it's hard for young teams to get over that hump because they don't really understand what it takes day in and day out the commitment, hard work, everything that goes in to being a very good team."